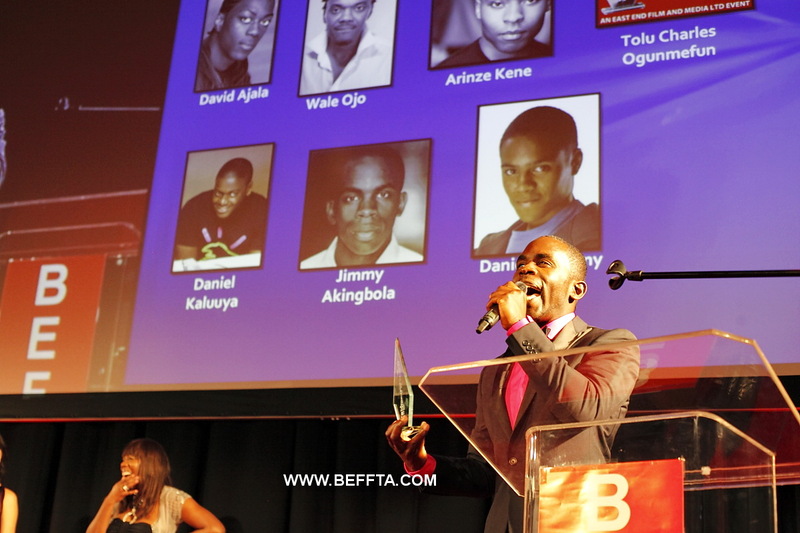 As the London Olympics open, the global Black Entertainment Film Fashion and TV awards(BEFFTA) is back in London for the 4th year. The prestigious and unique red carpet award ceremony celebrating both known and unknown talented personalities in entertainment, film, fashion, TV and arts has officially opened the public nominations. 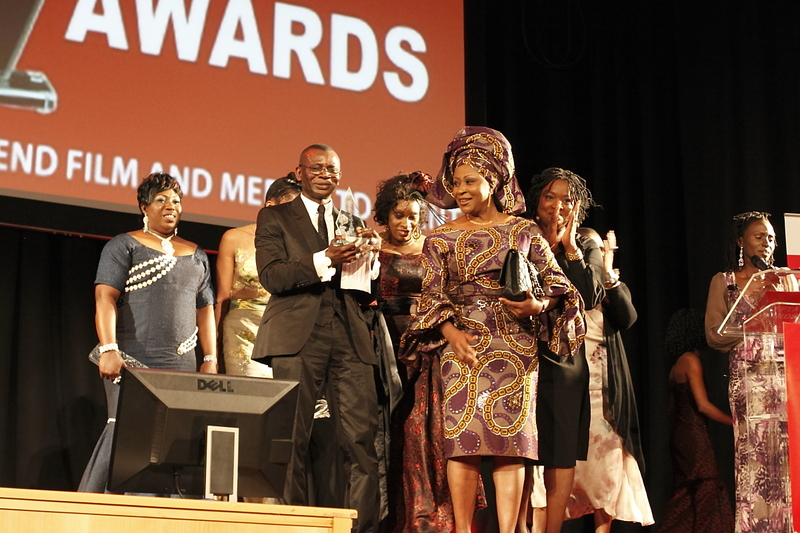 Members of the public are encouraged to nominate personalities from various showbiz sectors including musicians, Dj’s, promoters, fashion designers, models, TV stations, TV personalities, beauty queens, beauty pageant directors, comedians, film directors, music producers, actors, actresses, poets/spoken word artists, journalists, bloggers, fashion choreographers, radio stations, radio personalities, presenters and more. 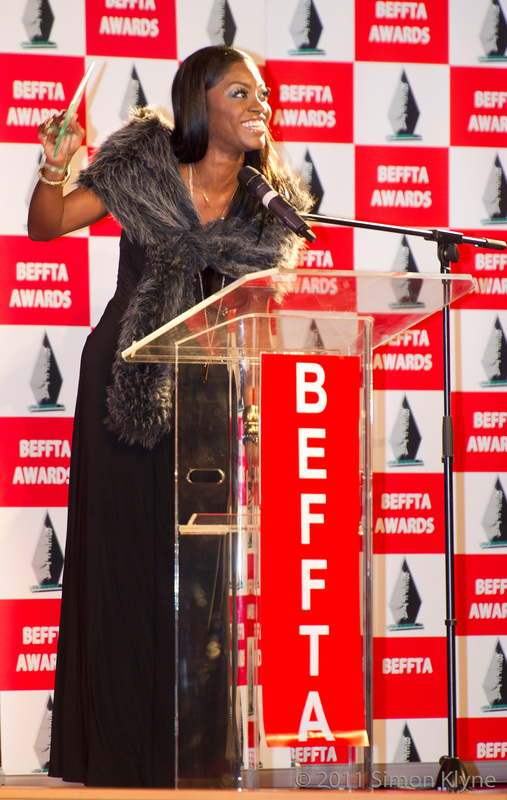 The 4th Annual BEFFTA UK is set to take place on 27th October at the Hippodrome, Golders Green with special guests from Canada, USA, Australia, Africa, Caribbean and Europe. 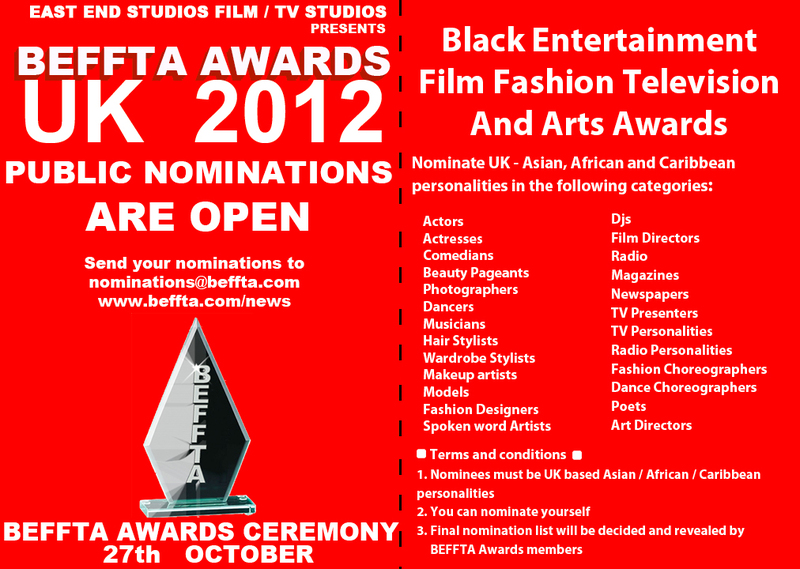 The public nominations will close on 14th September 2012. 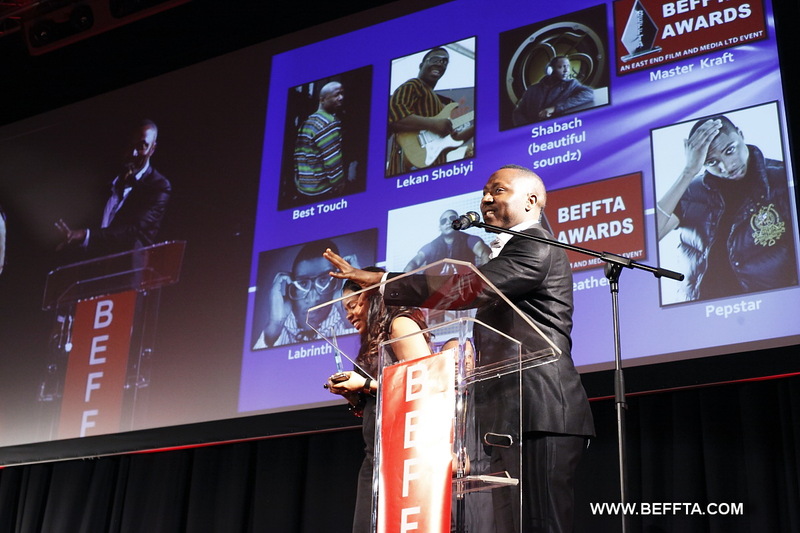 BEFFTA UK awards final nomination list will be decided by a special panel of eight BEFFTA Members. 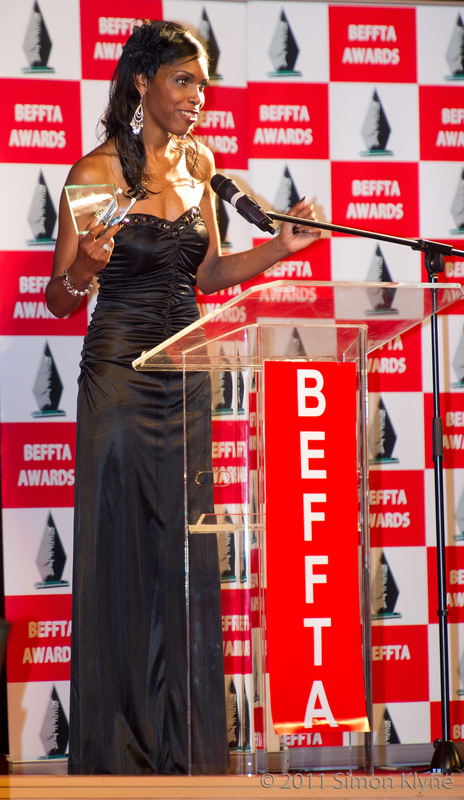 As the public nominations opens up, BEFFTA awards which is Europe’s biggest award ceremony for African/Caribbean personalities invites sponsorship and partnership from individuals and organisations.